Salt Room Winter Haven has been designed to help bronchitis sufferers relieve their symptoms and feel better in a safe, peaceful environment that feels more like a spa than a high tech treatment facility. Every year, more than 10 million people in the U.S. suffer from bronchitis. It takes its toll on both adults and children alike. Prescription drugs can bring temporary relief but they can’t prevent the disease from striking you again. Salt therapy as practiced at Salt Room Winter Haven is a drug free treatment that not only brings relief but prevents reoccurrence over time. 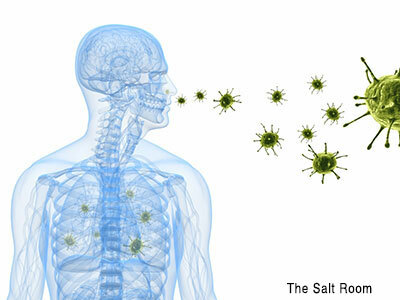 salt therapy at Salt Room Winter Haven will help you overcome the disease by clearing your lungs from accumulated mucus making it easier to breath. Salt therapy will also improve the functioning of your lungs. As your respiratory tract widens and clears, your coughing too subsides. If you are suffering from cold as well, salt therapy will open up your nasal airways and reduce sneezing. Salt therapy will bring relief by reducing the inflammation of your lungs and kill bacteria. Large amounts of mobilized mucus that had been blocking the bronchioles will be expelled. Experiencing salt therapy at Salt Room Winter Haven will also decrease your dependence on prescription drugs and will help your bronchitis. Clinical studies published in the New England Journal of Medicine (2006) observe: “Inhalation of hypertonic saline produces a sustained acceleration of mucus clearance and improved lung function. Salt therapy treatment may protect the lung from insults that reduces mucus clearance and reduces lung disease”. Salt Therapy at Salt Room Winter Haven recreates the microclimate found in salt caves and mines in a controlled environment. The atmosphere in Salt Room Winter Haven's “halochamber” is similar to what you are likely to find sophisticated spa. Each treatment room contains 4 tons of natural sea salt which contains 98% sodium chloride. The halochamber is equipped with special equipment which provides a flow of clean dry air saturated with dry sodium chloride aerosol at a mass concentration varying from 1-16 mg/m3 with a particle size of 1-5 um. A stable hypoallergenic, hypobacterial environment is maintained in the therapeutic room. Bronchitis is an acute inflammation of the air passages within the lungs. The mucus membrane within the bronchi becomes inflamed usually as a result of infection. There are two types of bronchitis: acute and chronic. The patient may also experience tightness in the chest and difficulty in breathing. Small children may wheeze and display symptoms similar to asthma. Acute bronchitis is caused by virus and often occurs if the patient is suffering from common cold or influenza. In chronic bronchitis, the cough lasts for as long as three months .After only 5 sessions of salt therapy, most of the inflammation has been reduced and excess mucous has been expelled. Coughing has been reduced and our clients are able to sleep and breathe normally. If you are suffering from bronchitis, contact Salt Room Winter Haven and we will help you feel better.